In our opinion, everything product-related is worth paying the most attention to when you’re running an eCommerce business. Your website visitors come for the products and nothing more. It’s your product names that invite them in and if you have your product management figured out, nothing can get your customers out. You can read our article on how to optimize product pages here. Writing eCommerce product names can be tricky. There are a lot of formulas out there but we want to offer a different approach. We will take a few good websites and explain what they did well and how you can follow them as an example. We’ll point out some good bits of advice and some common mistakes and we’ve also prepared for you Amazon’s and Google’s specifics when it comes to product names. Let’s start off with a few questions. How specific should be your product name? The answer is: VERY! In fact, being specific is the most important aspect of a product name. People often give up on a purchase because they don’t realize how many of something there are in a package, or because they haven’t realized that you offer 5 variations of this specific product. So, the product name should be an overview of what the product is but without bombarding the customer with a lot of information. Tight and informative. You can see how ASOSare doing it here. They are extremely specific about what exactly the product is without overdoing it. How unique should be your product name? Basically, the product names of your eCommerce products should be unique to the point where they differentiate from your product category as much as they can. So, you should be descriptive enough but not too much. Don’t spare valuable information that you think will make people click on a specific product. If the product doesn’t have any variants inside, then a smart move would be to include the color in the product name or at least what makes the product different from all other products in this product category. Product names can sometimes be longer than the visible characters on your website. A good thing to do is to put the most important information on the front of the product name. So, if you sell many brands in your webshop, the smartest thing would be to first put the brand name, then the product line, then what the product is in common words, then something very specific about the product like what series it is and then perhaps the size if there is one. Mountain Crest Gardens are a great example of what we’re trying to say here. They include enough information, they don’t spare what you get for the price and they say what the product is in common words everybody will understand. Your product names should be common words. You shouldn’t try and be fancy when it comes to it. Moreover, you should name your products the way people would search for them. Use Google Trends to compare product keywords and see your best chances for a good keyword. These words are often very generic and commonly used. And last but not the least important tactic, or more of a piece of advice, is to look at your product names as something your customers see alone without any other information on your website. It exists on its own, it sells on its own along with the picture and it doesn’t have anything to do with the joke you said on your homepage. If you want to sell on Google and Amazon, here are some specifics we picked out for you. Google Shoppingsuggest you include characteristics such as color or brand in the title, which differentiates the item from other products. They say you shouldn’t include any promotional text such as “free shipping” or BLOCK CAPITALS. Now you might think to yourself: but often people search for words like “buy” or “purchase online”. Yes, they do but these words should be put in your keywords, not in your product name. This is common mistake eCommerce owners make and should be avoided at all costs. Amazon suggests you capitalize the first letter of each word. They also say that you shouldn’t include promotional messages like “sale” or “free shipping”. And then add that it’s not wise to include subjective commentary such as “hot item” or “best seller”. So, until this point, you must know that you should let the product name live by itself and not depend on promotional words such as “free shipping”, etc. Net-A-Porter is a great example of pitch-perfect product names. Look at this. You have the brand name first, even separated from the whole product name, then you have the product specifics informative and tight enough. Another great example is Made.com. They sell in many categories but let’s look at their sofa category. You can see in the picture above how they did it almost by a formula, which does magic. Brand name (Ritchie), then the product line (2 Seater Sofa), then the product specifics, which is colors and variants. Gadgets, of course, are a whole different territory. You MUST be extremely specific there. In fact, this your best trump card. Let’s look at Newegg, for example. Very specific. Following the same path that we elaborated on above. So, how do you write your product names? What are the best practices you know that work? Tell us in the comments below! Hi! This post is written very good and I gotta say that you are describing the topic very well. Thanks for sharing! Hi. I’m glad you liked it and that I could help! Really interesting topic and article. I have bookmarked your website and I look forward to seeing more of your posts. Great blog you have here. Your way of describing how to write product descriptions in this article is very good. I can easily understand it and apply it for my webshop. Extremely good post. But what can I say… I usually hesitate a lot and never seem to get it done. My products keep on piling and I rarely get to the point of editing them this thoroughly. Hi, Emile. You just gotta smack it, as Dan Mace says (https://www.youtube.com/watch?v=jtVoqzwq4CE). Aha, watch this for some motivation. Blogs like Unravelled Zone exist just for this purpose, to teach you and motivate you. Nothing is as hard as it sounds. This is why content like this, especially on writing good product names, is important. It’s an easy guide and trust me, once you start off and follow a consistent strategy, it will get easier. Good luck to you! I really need to spend some time learning more on the matter with website traffic. I am just starting with the ecommerce business and I am really glad I stumbled upon this piece. I am not sure where you’re getting all of this info, but the topic is really good and the piece was very helpful. Thank you, Caroline. Mostly the information I provide is from my own past experience. Especially in this piece with website traffic. I also go through other very good ecommerce blogs. And I recommend Quora for you. You can find many helpful answers there 🙂 Good luck with your new endeavors. I hope it all goes well. Feel free to open up URZ again for new ecommerce articles. A blog zone dedicated to unraveling the vast world of eCommerce and providing you with helpful articles to tackle your daily business challenges. Come along and unravel the world of eCommerce together with us! Lu on Inspiration for eCommerce DesignNice! Thanks for sharing. 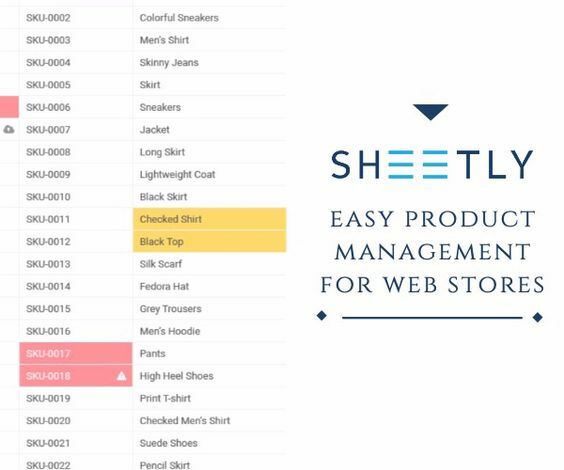 © 2018 - Part of Sheetly Inc..